Key West has always home to some of America’s great eccentrics. It’s a place that, far removed from the mainland of America, that serves as sort of the last outpost for writers, dreamers, musicians, and weirdos. I consider it one of the greatest places on earth, if that tells you anything. But in 1940, news spread around the island that something very strange was taking place in “Dr. von Cosel’s” local laboratory and when details were revealed about what it was – we finally discovered just what was “too much” even for Key West folks to handle. 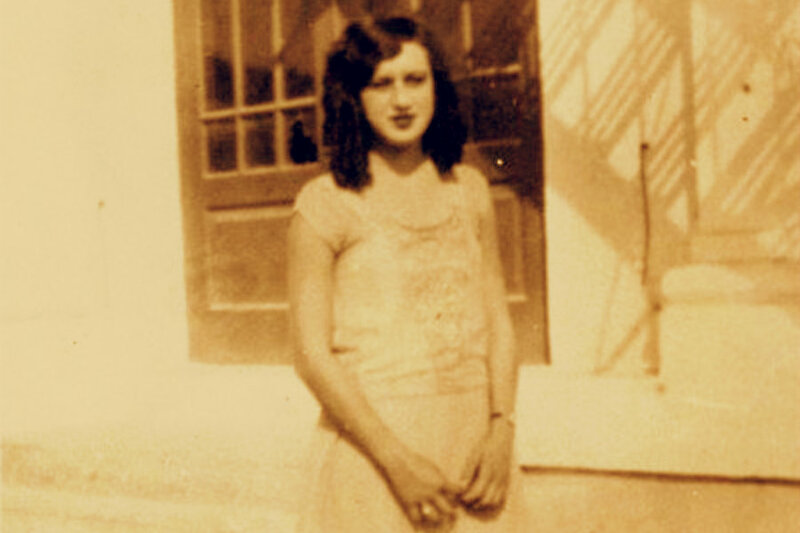 July 31, 1909, marks the birthdate of Maria Elena Milagro de Hoyos, the daughter of a Key West cigar maker named Francisco “Pancho” Hoyos, and his wife, Aurora. Maria Elena had a bit of a tragic life. She had a sister who died from tuberculosis and a brother-in-law who was electrocuted on a construction site. Soon after she was married, she miscarried and a child and her husband abandoned her and moved to Miami. To make matters worse, Maria Elena also contracted tuberculosis, a typically fatal disease at the time. She sought treatment at the United States Marine Hospital in Key West, and that’s when her story takes a very strange turn. While at the hospital, she met a German-born radiologic technologist named Carl Tanzler – or as he liked to refer to himself, “Carl von Cosel.” Tanzler actually had many names. He was born Karl Tanzler, or George Karl Tänzler on February 8, 1877 in Dresden, Germany. Little is known about his true background because his invented one was so confusing, and changed often. He grew up in Germany, but claimed to have traveled to India and Australia, where did electrical work, bought boats, purchased a South Seas island, and began building a trans-ocean flying plane around the time of World War I. When the war broke out, he alleged that he was jailed by British authorities for “safe-keeping” and was released at war’s end. We do know that he emigrated to the United States in 1926, via Cuba. From Cuba, he settled in Zephyrhills, Florida, where his sister lived. In 1927, he took a job at the U.S. Marine Hospital, using the name Carl von Cosel. It was at the hospital that he met Elena Hoyos and he immediately fell in love with her. He later claimed that, as a child, he was visited by visions of a dead ancestor, Countess Anna Constantia von Cosel, who revealed to him the face of his true love, an exotic dark-haired woman. He was convinced the vision had been of Elena. Tanzler, with his self-professed medical knowledge, attempted to treat and cure her with a variety of medicines, as well as x-ray and electrical equipment, that were brought to Maria’s home. He showered her with gifts of jewelry and clothing, and professed his love to her. There is nothing to say that Elena ever reciprocated his affections. It’s likely that she was baffled by the attention being given to her by the strange little man. Despite Tanzler's best efforts, Elena died from tuberculosis at her parents' home in on October 25, 1931. Tanzler paid for her funeral, and with the permission of her family he then commissioned the construction of an above-ground mausoleum in the Key West Cemetery, which he visited almost every night. No one knows what finally pushed Tanzler over the edge but it’s believed that he “heard” Elena calling to him from her grave, asking him to free her from her stone prison. He later stated that Elena’s spirit appeared to him when he sat next to her tomb and serenaded her with her favorite song. So, one night in April 1933, Tanzler crept into the cemetery and removed Elena’s body from the mausoleum, carting it out of the graveyard in a toy wagon. He took her home with him – and that’s when things got even stranger. Tanzler wired Elena’s bones together with wire and coat hangers, and fitted her face with glass eyes. As her skin began to decompose, he replaced it with silk cloth that had been soaked in wax and plaster. When her hair fell out, he fashioned a wig from hair that had been given to him by Elena’s mother, soon after her funeral in 1931. He filled her cadaver with rags so that she could keep her original form and he dressed Elena in her own clothing, stockings, jewelry, and gloves. Tanzler also used copious amounts of perfume, disinfectants, and preserving agents to mask the odor and slow the decomposition of the body. He had to do so – because he kept Elena’s body in his bed. The body was bound together by wire, wax, and plaster and dressed in Elena's clothing. The wig was even made from her hair. In October, 1940, Elena's sister, Florinda, heard rumors of Tanzler sleeping with the disinterred body of her sister, and confronted Tanzler at his home, where Elena’s body was discovered. Tanzler was arrested and detained – for desecrating Elena’s tomb. Stealing her corpse was not illegal at the time. Tanzler was examined by psychiatrists, but they found him mentally competent to stand trial. After a preliminary hearing, though, the charges had to be dismissed. The statute of limitations for the crime had expired. The case drew the attention of South Florida newspapers and it created a sensation among the public, both regionally and across the country. Believe it or not, the public mood toward Tanzler was generally sympathetic. Many viewed the eccentric German as “romantic.” There was no conclusive evidence at the time that Carl had sexual relations with Elena’s corpse, but later examinations suggested that it was possible. During the furor over the story, Elena’s body was examined by pathologists and then put on public display at the Dean-Lopez Funeral Home in Key West, where it was seen by nearly 7,000 people. Elena’s corpse was eventually returned to the Key West Cemetery and was reburied in an unmarked grave, in a secret location, to prevent any further tampering. In the aftermath of the discovery, Tanzler left Key West, but he didn’t do so in shame. He returned to Zephyrhills, Florida, and wrote an autobiography that appeared in the pulp magazine, Fantastic Adventures in 1947. He became a U.S. citizen in Tampa in 1950. He never got over his obsession with Elena Hoyos. 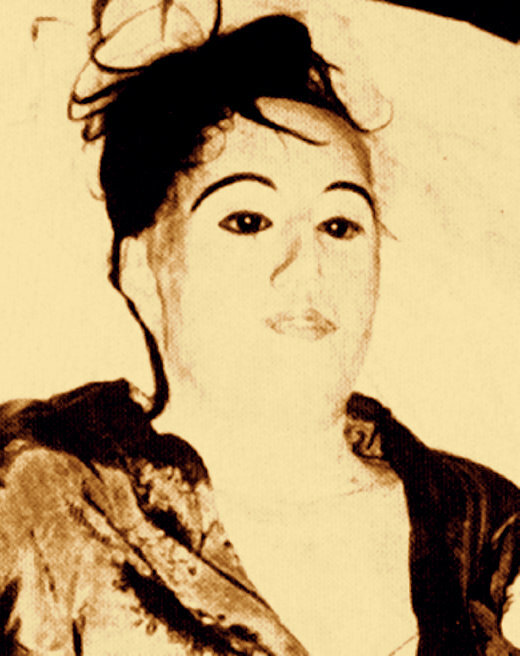 Still longing for his lost love, he created a “death mask” of her as the basis for a life-sized dummy, which he kept in his bed until his death on July 3, 1952. Some accounts of Tanzler’s death claim his body was actually found in the arms of the dummy, but this is merely wishful thinking by those of morbid sensibilities. According to his obituary, he died on the floor of his home. It was noted, though, that overlooking his corpse was a “waxen image, wrapped in silken cloth and a robe.” It seems that his replacement Elena was with him to the very end.